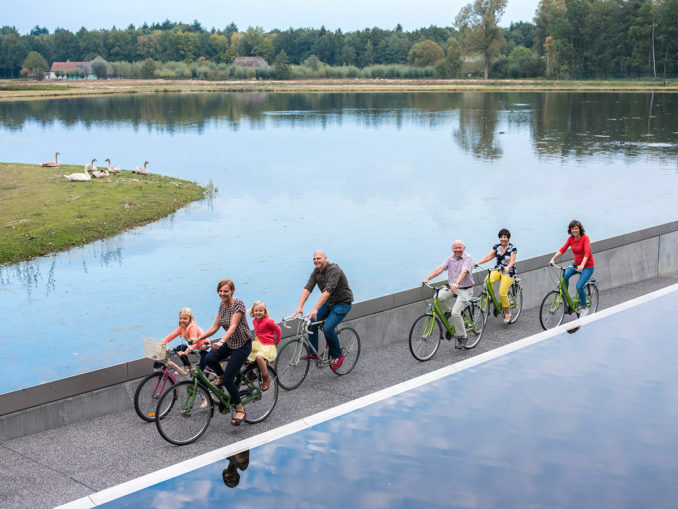 Limburg bicycle route network through innovative projects. improvement in the water quality and a significant increase in the habitat of amphibians. 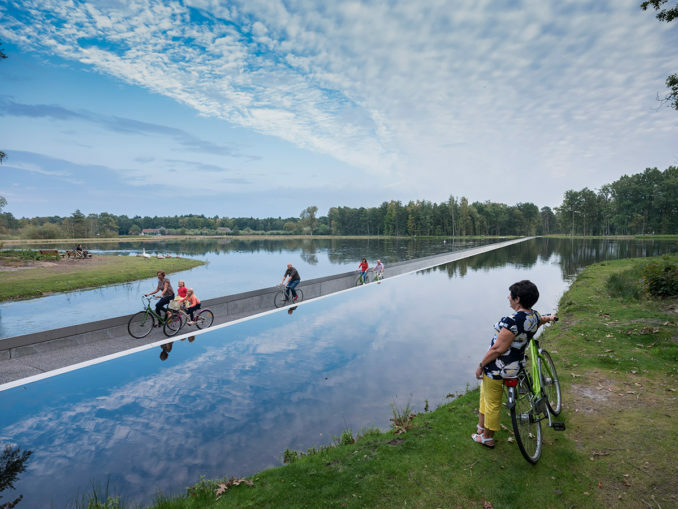 The new bicycle path through the water leads cyclists through a 212 meters long and three meters wide concrete path with water at eye level on both sides. Swans and other waterfowl out on the edge and watch the cyclists curiously. Since its opening, the interest in this special bike path has been huge. On average 800 cyclists per day visit this unforgettable part of the Limburg cycling route network. It is marvelous to see the heads of the cyclists ‘glide’ across the water surface. That also explains the hype on social media and blogs. People are talking about this extraordinary experience. The open landscape of the western pond area in Bokrijk was also expanded. This gives the visitor a 360° open view of the Bokrijk museum part East and West Flanders. 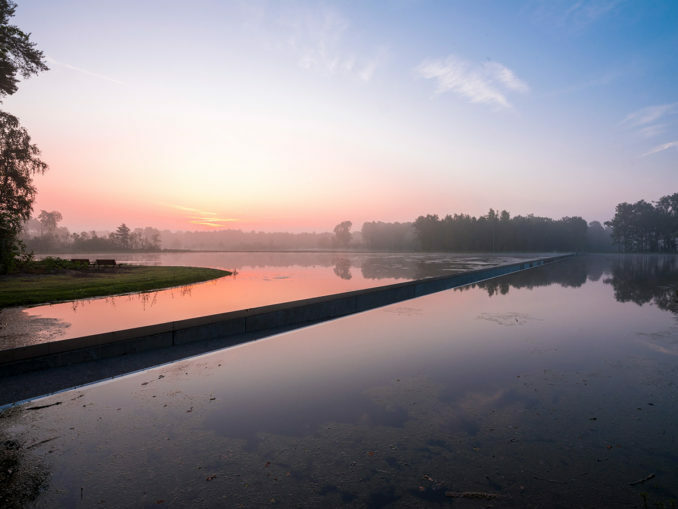 This also improves the interaction between the ponds and the open-air museum. After a thorough restoration, new viewpoints were installed in the 17th century pigeon tower and an old farm. At both points visitors can picnic, play and inter- actively learn about Bokrijk and the De Wijers. 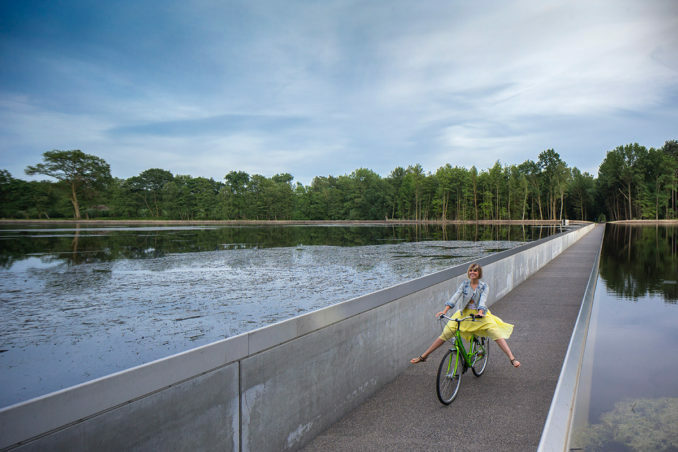 ‘Cycling through Water’ has provided qualitative improvements to the larger environment. This bicycle attraction is a clear ‘reason to come’ and a ‘reason to share’ for tourists from the Euregion.